Are Home Loans and Mortgages the Same Thing? Although the terms home loan and mortgage are thought of as interchangeable by many, they are, in fact, two separate things. If you’re planning to buy a property, it’s a good idea to clarify what these terms mean, so let’s take a closer look. The term home loan is fairly straightforward. A home loan is a loan given to you by a financial lender that allows you to purchase a property. There are different types of home loans to suit specific lifestyles and requirements. The most popular type of home loan amongst Australians is a variable interest rate loan. With a variable rate, the interest rate of the loan changes with the market. Variable rate home loans usually offer lower interest rates, as well as increased flexibility. Fixed rate is a second home loan option. With a fixed rate home loan, the interest rate of the loan is fixed for between 1 and 10 years. One benefit of a fixed rate loan is you can accurately budget to cater for your loan repayments. 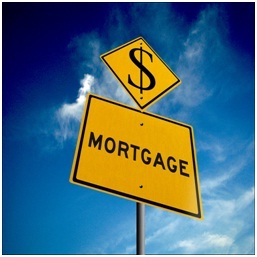 A mortgage is a security measure for a home loan that protects the financial lender. You, the property purchaser, are the mortgager, and the financial lender is the mortgagee. If the mortgager breaches the home loan or mortgage contract, the mortgagee has the right to sell the property in order to recoup the home loan. Usually lenders only do this as a last resort, and when you have paid off your home loan, the mortgage ceases and you own the property completely. To summarise, a mortgage is a security measure in place to protect the lender, and the home loan is a loan borrowed in order to purchase a property. If you’re keen to apply for a home loan, get in contact with us on 1300 700 496 or send us an email. We will review your unique circumstances, and give you our expert recommendation on the most suitable loan product for you. We keep up to date with the many different loan products available from 30 lenders and we have inside experience in what they’re looking for when it comes to submitting applications .